Available in London, Cheltenham, Oxford, Reading, Henley, Oxfordshire, Bath, the Cotswolds, and Manchester and the Peak District! 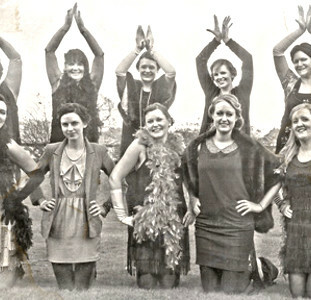 Look no further for vintage hen party ideas! 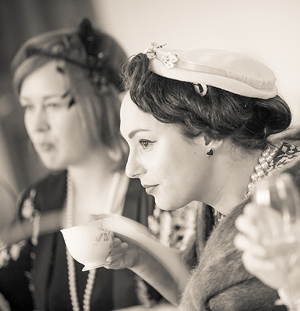 Be transported to another more stylish era with our vintage themed activities for hen parties and events! 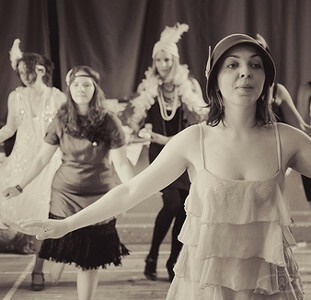 We offer Roaring Twenties Charleston Dance Classes and Vintage Dance Classes from the 1940s and 1950s. 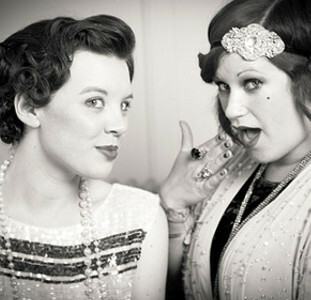 Or perhaps you’d like to look the part with our vintage hair and make up in your favourite era? Book one or more of our activities with afternoon tea at a lovely vintage venue in London or Cheltenham, and you'll have a 1920s hen party day out, or a day out in the era of your choice. 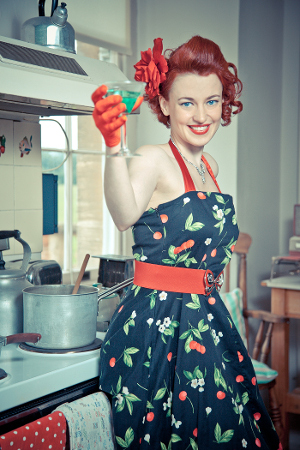 Or we can come and create a vintage day out at your home or holiday cottage. Our activities are perfect for hen parties, birthday parties, or just a special day out for glamorous grown ups. Fancy yourself a Roaring Twenties flapper, or a fan of the 1940s wartime and swing era, or are you a rockabilly 1950s cat? Do you love 1930s Hollywood glamour or vintage vogue or would you like to be a 1950s pin up for the day? Or do you prefer more retro style and dressing up? No problem. Our talented vintage stylists can also do swinging sixties and seventies hair and make up by request, or 1980s! Having a 1920s Speakeasy party for your company Christmas do? Having a vintage tea party themed wedding or a 1950s rock n roll birthday do? We also offer Charleston dancers or vintage dancers to perform and teach at parties and events. It can really help get the party going off with a swing if your guests learn some exciting new moves! We can even provide vintage musicians and DJs for your party. Or we can offer vintage hair and make up for a group of guests before your event, or as an activity for guests to enjoy during the event. Other requests are considered – we are flexible and may be able to make things work for you - just ask. We have also organised Children’s Charleston parties, strictly themed parties, mad hatter themed parties, vintage life drawing classes, sewing hen parties and vintage photoshoots among other things.